Ideally 5m by 3m. We can play in smaller spaces but ideally enough room to fit an acoustic drum kit a full size double bass. We will always work with you to make sure we can fit in and often you’d be surprised where we can squeeze into! Below are the best timings (through experience) for wedding performances, 7.30pm-12am with 2x 60 minutes sets. We suggest 2x60 minutes sets over 3x40 minutes where possible. Yes, but the band have finely crafted their repertoire based upon experience and crowd reaction to maximise enjoyment of the night. Also some songs require a change of instruments and so to avoid any delays in performance it’s probably best to leave the playlist to the band. We have played and will play all over the UK and Europe. The band do on occasion play public performances, the band's recordings are all done live to give an accurate representation of our live performance. It can often be difficult to tie up a live performance close to you. Learning a first dance or special song comes as standard. It’s always worth talking to the agent to ascertain whether the song you chose will work well with the bands line up. The band where possible will work with you to learn a special song for your event. Absolutely! What you see is what you get! The video was created to reflect this for clients. See it on our media page and homepage. Via our Agents at Alive Network. Our system is available to play either your own chosen playlist or we can put a bespoke track list together for you. Yes, you are more than welcome to send us song requests to play at your event. Yes, but if the system is required before 7pm an early set up fee would apply. We are a full live band with no backing tracks. We have extensive professional equipment raging from a full 4k PA and lighting system through to original vintage instruments for authenticity. Often guests compliment or have a chat with us about the kit we use, as a lot of it is very rare and beautiful (we think so!) and above all sounds fantastic. We take our live sound very seriously and invest heavily in equipment to ensure this. Yes, we have a full stage lighting set up and additional room lighting to create a fantastic atmosphere. Standard set lengths are 2 x 45mins, 2 x 60mins or 3 x 40mins. We can load in set up and sound check within 1 hour. The band are all professional musicians and therefore are unlikely to split before an event. The agency will work with you, should a replacement be required. If they can keep a tune yes! We are happy for fellow performers to join us on stage if requested prior to the event. Anything else can result in a free for all and ruin the evening. Everyone can sing like Elvis after a few pints, but we however recommend that only special pre-arranged performances are cleared with the band beforehand. Authentic 50’s outfits, we are vintage mad and take great care to make sure we look the part on stage. Yes. We can provide these on request - contact our agents. Why should I book The Jackpots? The Jackpots are one the UK’s finest vintage 50’s Rock and Roll party bands with a track history of delighting clients at their special events. The band go to great lengths to ensure that guests have a unique experience and the strength of the testimonials pays tribute to the effort and energy they put into every performance. Standard fee is £940 + fuel costs. 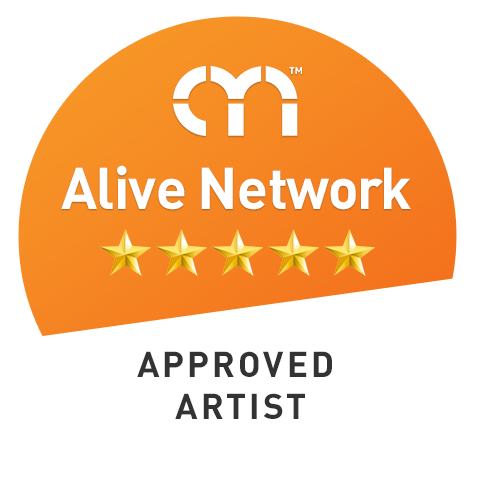 Alive Network has a collection of testimonials available for clients to see. Do The Jackpots have any specific requirements? Any venue up to a 1000 capacity. We have played on large stages, marques, castles, churches, cruise ships, client’s front rooms! The band play fully live with drum kit, so you are not booking a lounge act! However the sound levels are closely monitored to ensure guests have maximum enjoyment of the performance. 2 x standard 13amp plug sockets within 10m of the stage. Do The Jackpots offer any additional services? We can provide daytime Jazz/Swing instrumental act to entertain your guest during the day or during your wedding breakfast please enquire about this service.